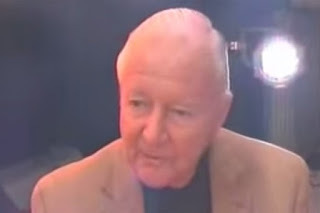 Legendary drumstick maker, Vic Firth passes. 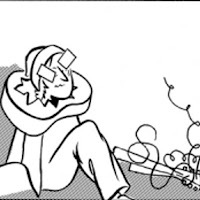 Nothing this week: Check out his past shenanigans! CONGRATS: Joel Johnson and Jane Lewis Win Independent Music Awards! The judges have spoken in the 14th Independent Music Awards and two local acts have received-much deserved accolades. 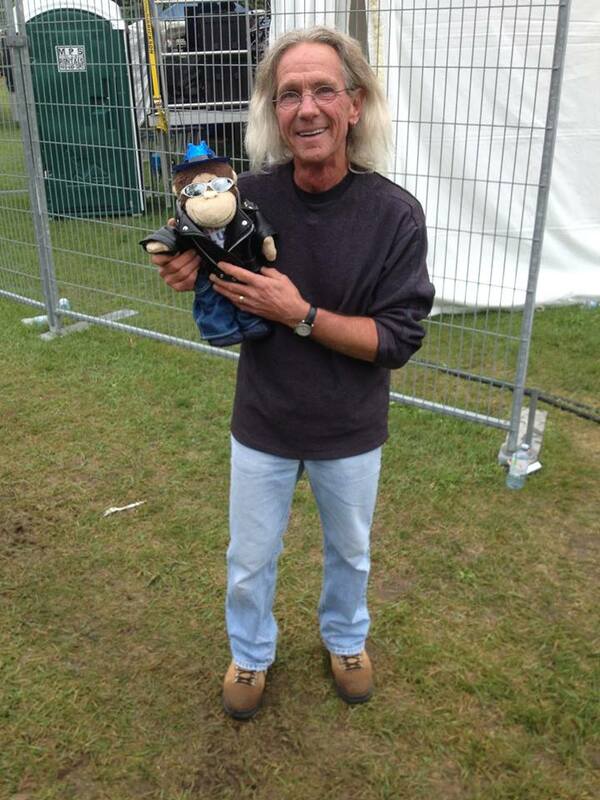 Ohsweken Bluesman, Joel Johnson got the Best Blues Album award for Blues Joose, Vol. 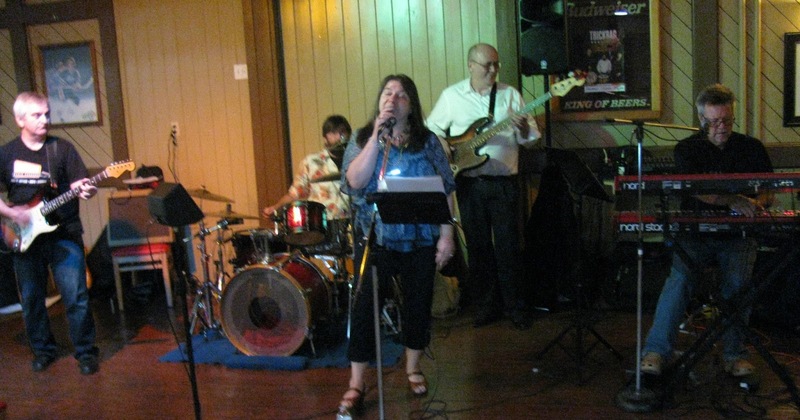 2 and Guelph singer/songwriter, Jane Lewis earned the Best Cover Song award for her rendition of the Beatles' Come Together. Artists from around the world are nominated for these prestigious awards. 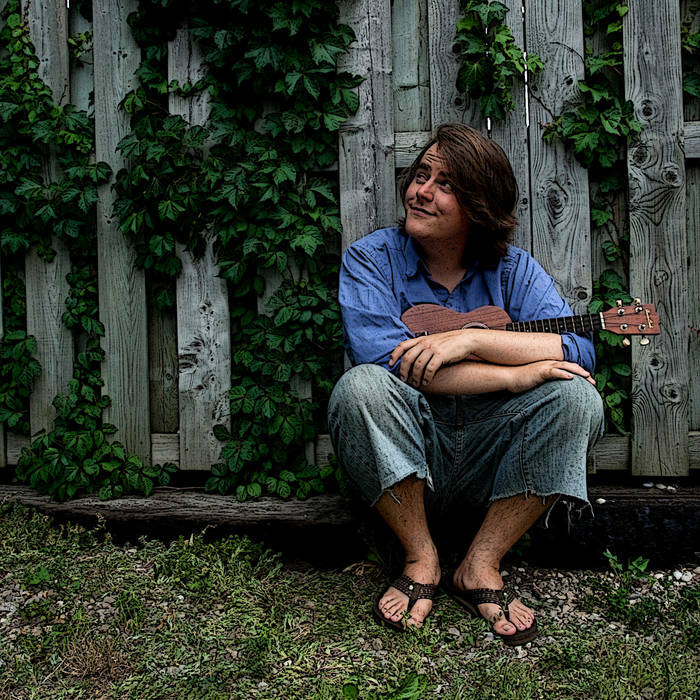 It's great to see talented area musicians shine in the international spotlight! Hopefully, they haven't finished winning either because there's a people's choice portion of the awards. You can vote for the nominees by clicking here. 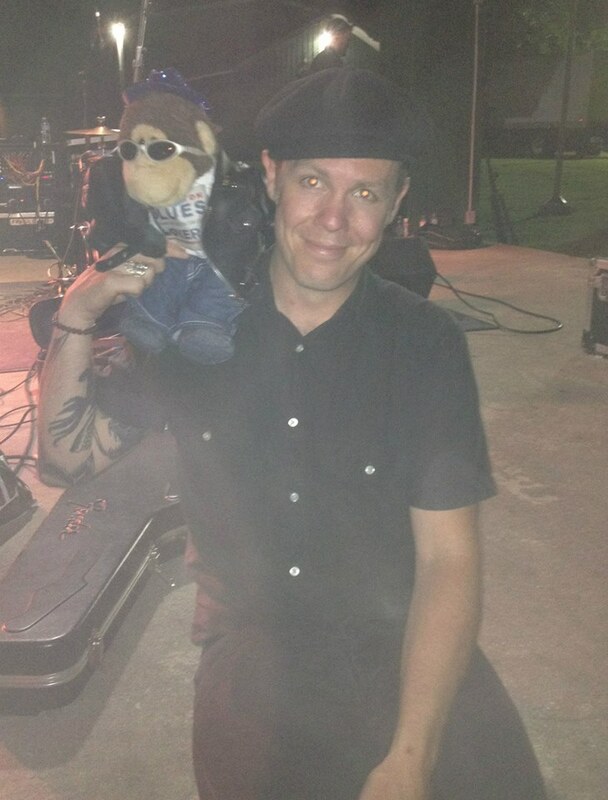 Joel is also nominated in the Blues Song category for I'll Be Just Fine. Deadline is September 11, 2015. Good Luck! 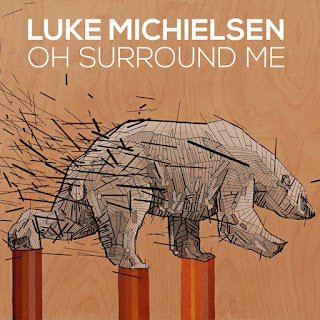 Kitchener singer/songwriter Luke Michielsen has a lot to draw listeners in on his new album, Oh Surround Me. You'll hear some astonishing, first-class, poppy, alt-folk. 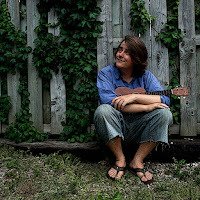 With his expressive voice and wonderful musical skills, Luke creates accessible, modern, acoustic folk with an artistic edge. The remarkable, poetic lyrics also separates it from the pack. Both the CD or download is available through his Bandcamp page. 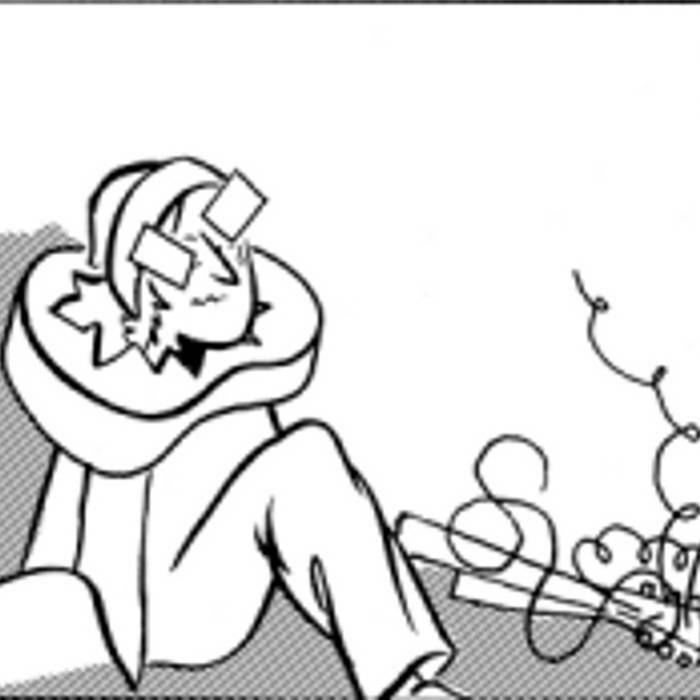 Some recordings escape our radar, so occasionally we'll be catching up with some mini-reviews! 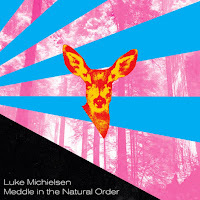 In 2011, Luke released the 5 song EP, Meddle in the Natural Order. With more of a raw sound (basically voice and guitar), it has more of an organic, sparse sound that works superbly. It's available through Bandcamp. 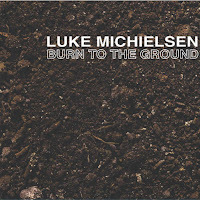 The 2008 album, Burn to the Ground, finds Luke's voice in fine form with more poppy alt-folk (with a little touch of Americana this time). You can get this via Bandcamp. 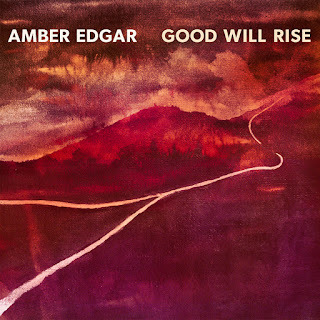 Exquisitely layered and emotive, Good Will Rise, the four song EP from Hamilton singer/songwriter, Amber Edgar, will stir the senses. Lyrically and musically, the recording's very well-crafted and inspiring. With an almost cinematic flair, each alt-folk/pop tune paints a mental picture of mourning, loss and redemption. Though sometimes dark, Amber manages to inject the songs with a bit hope and meaning as well. Helping along the way are Adam Bentley and Anna Jarvis (formerly of The Rest), Bill Majoros of Foreign Films, Troy Dowding, Karijn DeJong, Kori Pop, and Jordon Mitchell. They make amazing contributions to the stunning density and artistry of the sound. The EP is available through her Bandcamp page. 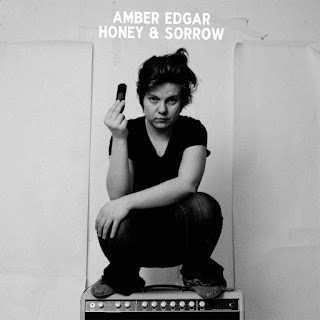 Amber released the Honey and Sorrow single in 2013. Both the main song and the "B-Side" Troubles, are infectious numbers featuring her wonderful lyrics. It's available via Bandcamp. 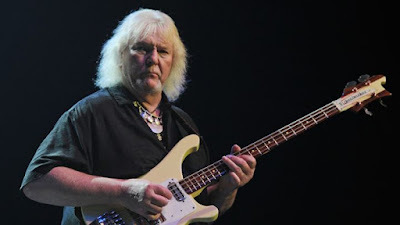 Bill Kerr was a huge supporter of the Hamilton Music Scene and was also the income tax man for many local performers. He was a beloved figure of the area music industry. 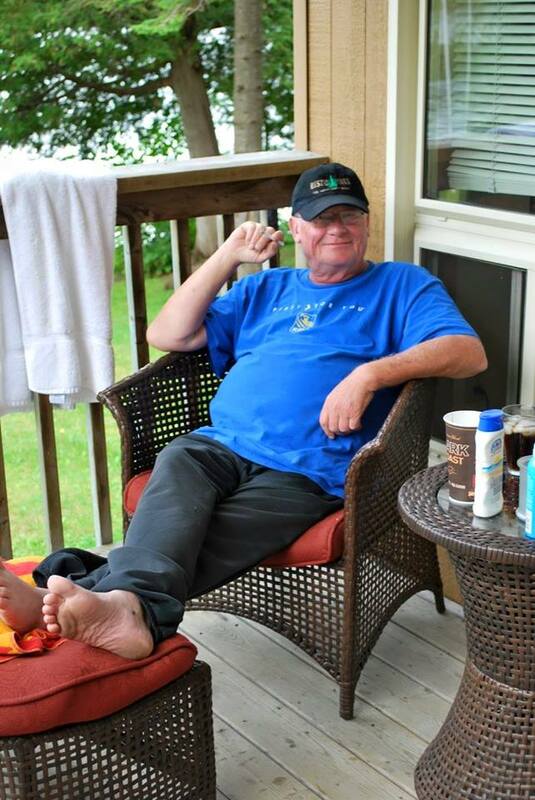 Unfortunately, Bill passed away on June 27, 2015. Our condolences to his family and friends. Click here for photos from the concert in his honor on July 22, 2015 featuring Hamilton's biggest music stars. 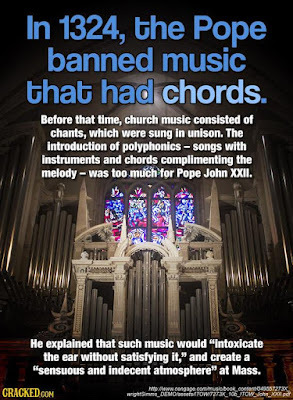 From the Cracked.com article 'Weirdest Moral Panics Ever' WARNING! MATURE CONTENT! Trebleclef popped by the Gore Park Pan Am promenade twice to see No Sugar Tonight and Trickbag! 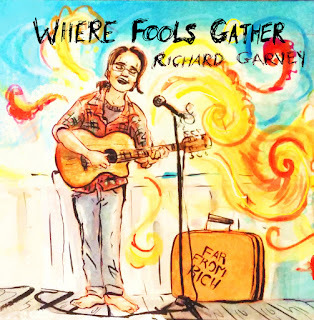 Where Fools Gather, the latest album from Kitchener's Richard Garvey strikes a pleasant balance between good-time, friendly folk and ethereal, graceful, artistic numbers. There's definitely something for everyone here. Always well-written, the recording has an organic, welcoming feel that invites the listener to get lost in the moment. Whether's it's dancing to the great banjo/mandolin/fiddle playing or hearing Richard's sometimes ghostly vocals spirit you away, every song will affect you. Richard has a lot of stunning help from his friends. They include Julia Narveson, Buck Thompson, Dan Henshall, Dave Soehner, Laura Dyck, Rachel Bruch, Eric Johnson-Scherger, Kate Romain, Richard Driedger, Dan Belgue, Josef Bell, and Jess Spencer. Backing vocals by Celidh Barker, Laura Ashfield, Marina Marina, and Bill Howard. Physical CD's are available at his wonderful live shows and through his Bandcamp page (you can download it there too). Richard's 2014 release, Happy Go Lucky (Go F%$k Yourself) is a mostly light hearted EP that'll get your toes a' tapping. It's available through Bandcamp. 2013's EP, Listen, features Richard with a sparse sound that will enchant you with it's beautiful simplicity. His amazing voice is at its most expressive here. The recording's available through Bandcamp. 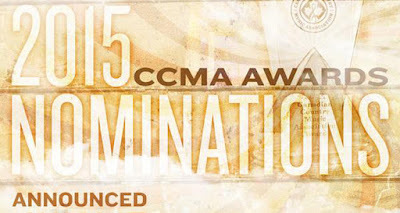 Once again, quite a number of talented area performers have been nominated for Canadian Country Music Awards. St. Catharines boy Tim Hicks has been (justifiably) raking in the awards and nomination for a while now and he continues to do so. Last time, he even won the Rising Star award. Now, he's up for Male Artist, Album, Interactive Artist plus his album 5:01 is in the running for Album Design and Producer. Links: Tim Hicks, More Tim Hicks Stories, Video above courtesy of Tim Hicks. Burlington singer/songwriter, Tebey also has quite a bit of an awards collection himself and he's hoping to expand it. This year, he's been nominated for Producer of the Year. Waterloo's Western Swing Authority and their members were nominated in 2014 and they repeat the honour in 2015. The band will be vying for the Roots Artist category. 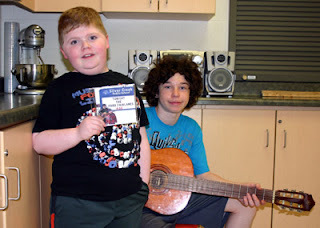 WSA players Ed (Peewee Charles) Ringwald and Shane Guse are up for a few as well: Ed for Steel Guitar and Shane for both Fiddle and Special Instrument. Both won last year as well. Also from Waterloo, Jason Barry, a multiple CCMA winner, has been nominated for Guitar of the Year. 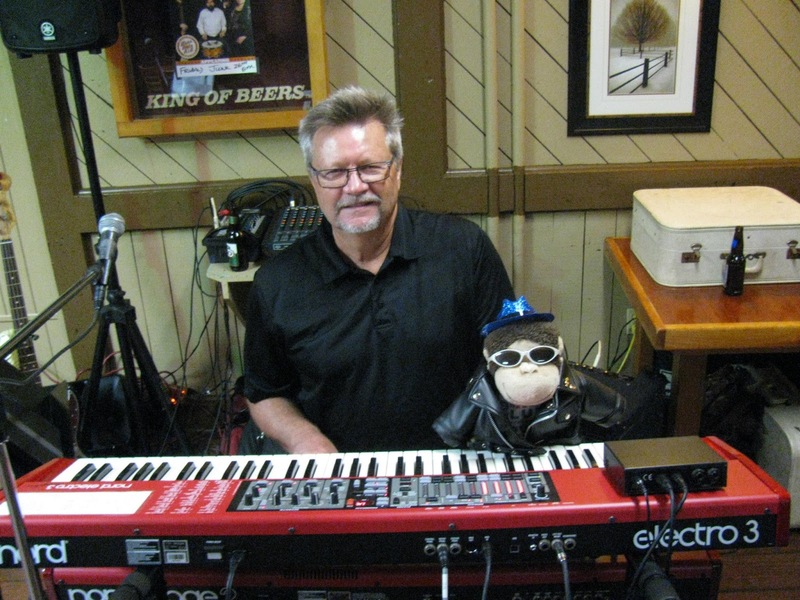 Kitchener session player Scott Galloway has received the nod for Best Keyboards too. Guelph bassist Jason Raso is a man who has beautifully mastered his instrument. 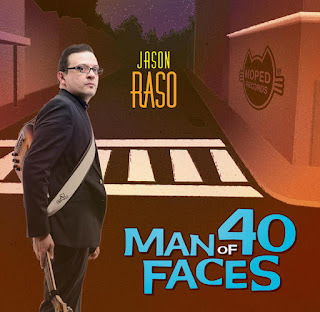 You need to look no further than his latest album, Man of 40 Faces. This mostly solo, instrumental recording will marvel you with just how much musical texture one bass can handle. Each song has it's own special mood. Cinematic, classical, bluesy, jazzy and all stylistic points in between are handled exceptionally well. Jason is joined on a few tracks by fellow bassist Alain Caron, trombonist Wycliffe Gordon and vibraphonist Francesco Pinetti. They match his amazing dexterity with their instruments. So go ahead and pick up a CD though his live shows or his online shop, It can also be downloaded via that same shop or using iTunes. 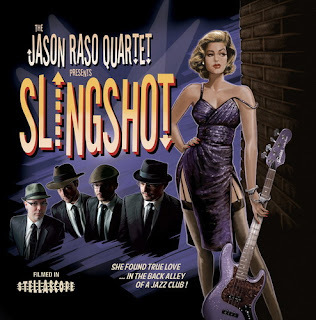 In 2013, his Jason Raso Quartet released Slingshot, a funky, swinging, good time collection of instrumental wizardry. Joined by Thomas Hammerton (keys), Adam Bowman (drums) and Brent Rowan (sax), Jason and the gang know how to groove. It's available as a CD or download at his online shop. A digital version is available at iTunes as well. 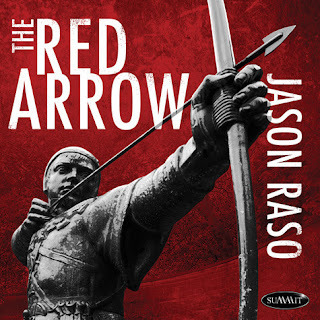 Jason unleashed his album Red Arrow in 2011. With the help of Tony Monaco (B3 Organ), Richard Underhill of the Shuffle Demons (sax), Ted Warren (drums) and Francesco Pinetti (vibraphone) the bassist created an amazing mix of slinky, smooth, jazzy and bluesy instrumentals. You can purchase it through his online shop, cdbaby, eMusic, or iTunes. 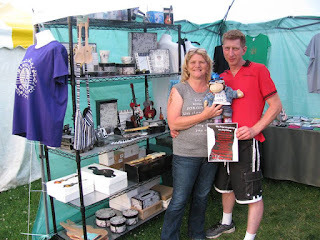 While there, he met up with Maggie Ciere, musician and owner of HamiltonArtists.ca, a great place to buy music merch and get anything printed on anything! 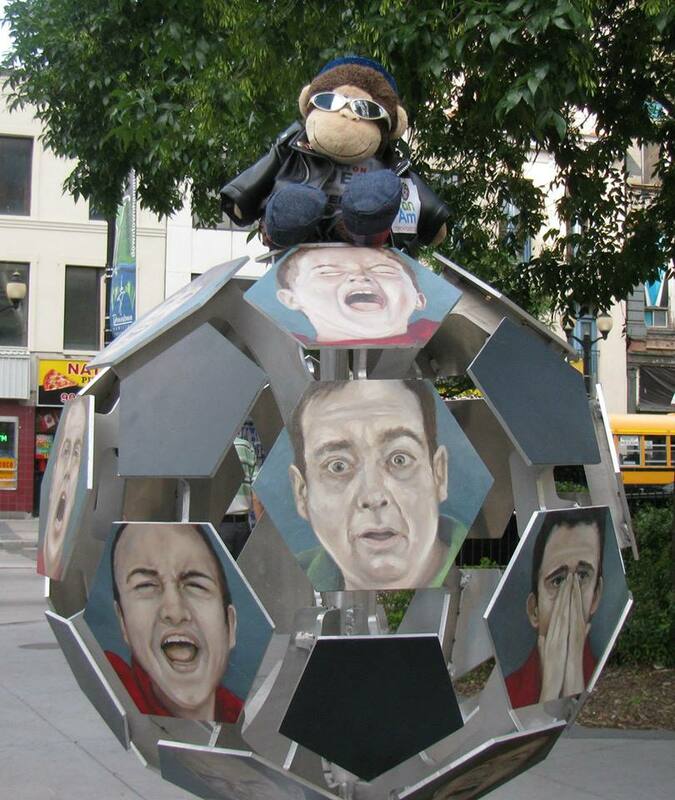 Our little monkey even got a chance to hang out with his stuffed peeps! GOOD LUCK! 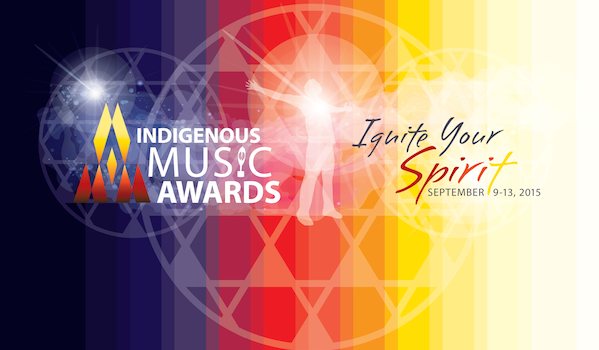 Derek Miller and Ghost Town Orchestra Honoured with Indigenous Music Award Nominations! VOTE NOW! Oshweken Bluesman Derek Miller and Brantford hard rockers Ghost Town Orchestra will be up for 2015 Indigenous Music Awards (formerly known as the Aboriginal People’s Choice Music Awards). Derek is honoured for his show, Guilt Free Zone in the TV program category and GTO (who won for best Rock CD last year) are nominated for Best Duo/Group and Producer/Engineer. Hopefully they'll be coming home with some hardware on September 13, 2015 In Winnipeg. You can vote for your favourites by clicking here. GOOD LUCK GUYS! He also went to the Forbes Park Music Festival in Cambridge and met up with Lucas Stagg. 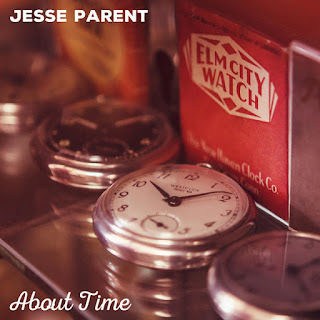 Kitchener's Jesse Parent Has New Album with an Amazing Lush Soundscape! 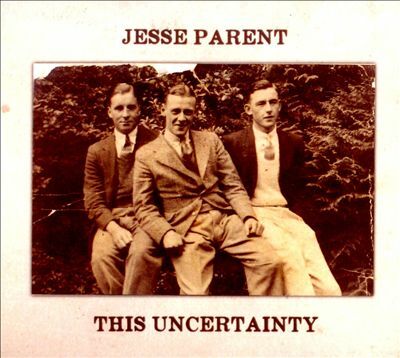 About Time, the latest wonderful CD from Kitchener's Jesse Parent has an amazing lush soundscape. It's filled with Americana music injected with a modern sensibility. 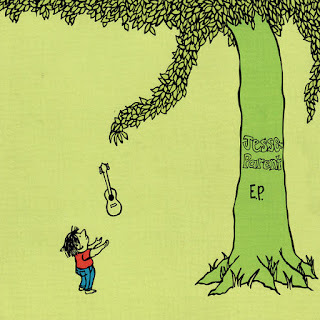 Rollicking and rootsy, the album hits all the right spots. With a clear, crisp sound, you can appreciate the impressive songcraft that went into the collection. Musically and lyrically, it's extremely well done. You can pick up this incredible CD at Jesse's live shows and his online shop or download it via eMusic/iTunes. 2012's This Uncertainty, is more of a harder rockin' recording. The energy's high on this one and will get your blood pumping. It can be downloaded through iTunes or ordered using his online shop. 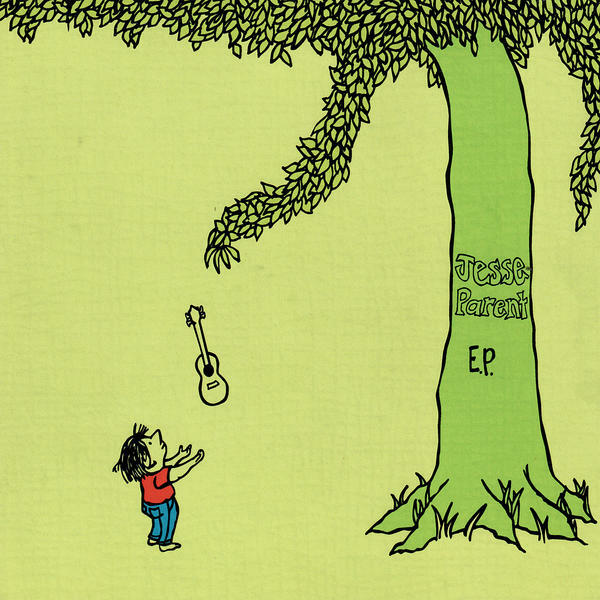 His self-titled EP (released in 2009) features a folkier sound packed with catchy hooks. This is also available through iTunes and his online shop. GOOD LUCK! 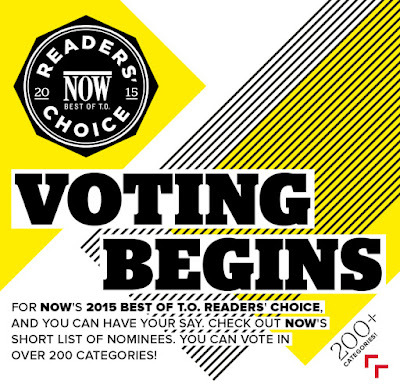 Local Artists Nominited in 2015 Now Readers' Choice Awards! VOTE FOR YOUR FAVES! The voting has started on Toronto Alternative paper Now Magazine's Readers' Choice Awards. A number of area acts are nominated for a few spots. 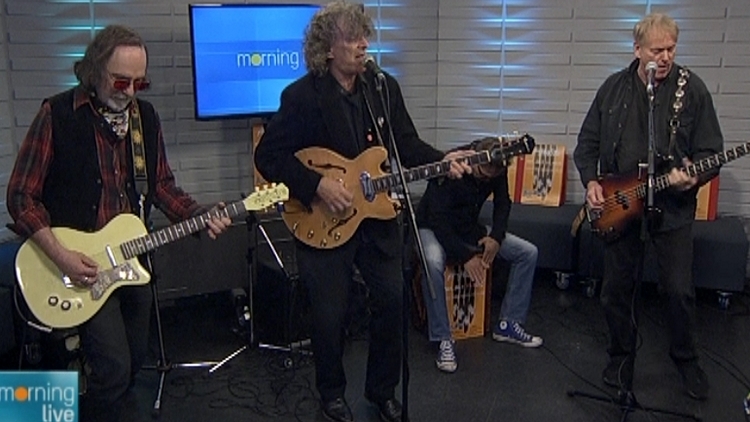 Blue Rodeo (a group which includes Hamilton's Colin Cripps on guitar) is up for Best Band. Waterloo's Soulstack is in the running for Best New Act. Also, a Best Songwriter nod went to Oakville singer songwriter Patrick Ballantyne. Please vote for your favourites at this link. Deadline is September 18 and the results will be released on November 5, 2015. 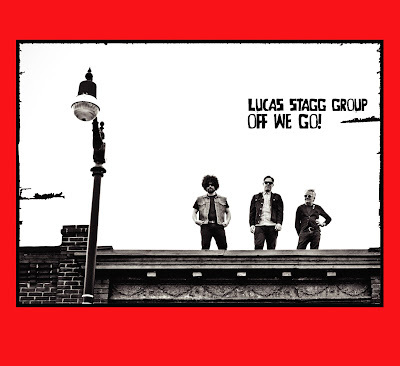 Lucas Stagg Group Are All Fired Up on New Impressive Album! Toronto's Lucas Stagg Group (the main man is from Cambridge though) are all fired up on Off We Go, their most recent album (offed through Busted Flat Records) . There's a ton of controlled intensity here. You can definitely feel a bit of a punk vibe on some tunes but it's backed up by melodic, virtuoso playing. 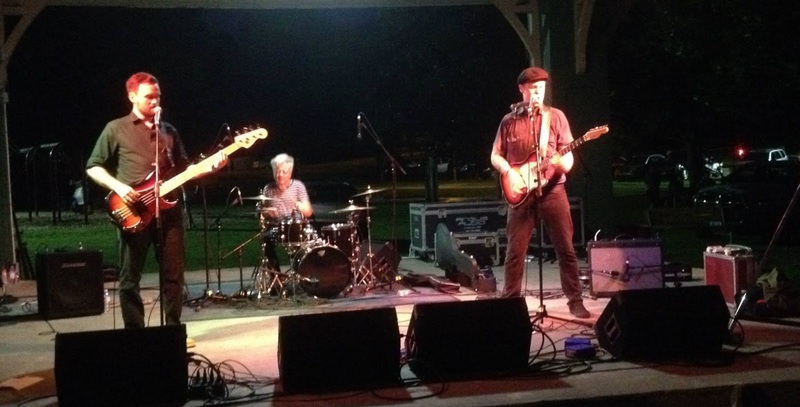 Lucas and the boys (bassist Danny Alac and drummer Cleave Anderson - formerly of Blue Rodeo) bring their impressive talents to quite a mix of music. 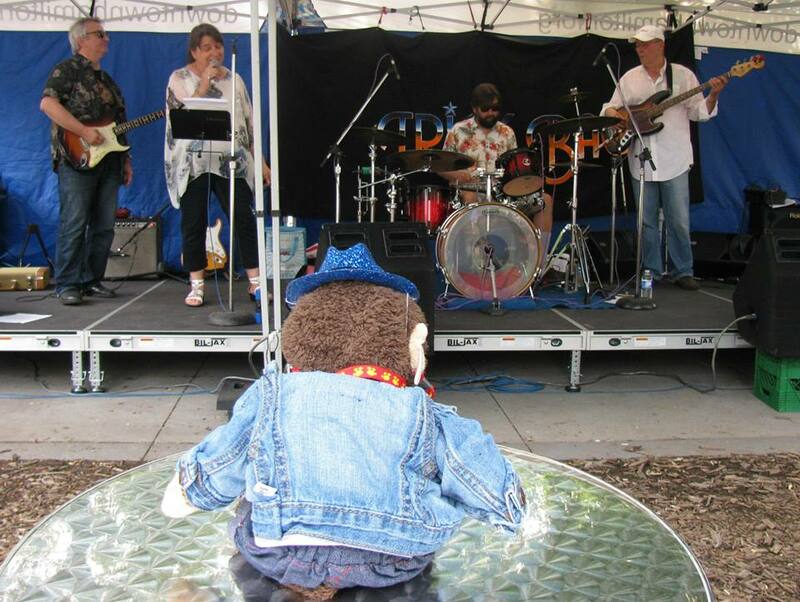 Along with the raw rockers, the group offer folky tracks, a touch of country, some jazzy spots, a little bit o' blues and much more. You can pick the CD up at any of their electric live shows. It can also be ordered via the Busted Flat online shop or downloaded through iTunes. 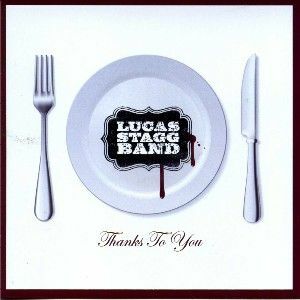 2013's Thanks to You (released under the name Lucas Stagg Band) has a bit more of a poppy feel but it's still packed with infectious rockers, rootsy tunes and more. This is also available through Busted Flat and iTunes. The 2015 Polaris Music Prize Long List was unveiled recently and five Hamilton acts are up for the prestigious award. Folk rockers Lee Harvey Osmond and Whitehorse along with rockers the Arkells and B.A. Johnston plus electronic act Caribou will be representing the Hammer! The Short List will be announced July 16, 2015 and the winner will be revealed in September. GOOD LUCK EVERYONE! 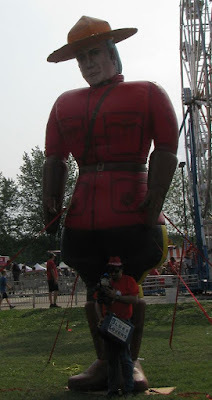 Click here to see who got into the Short List. 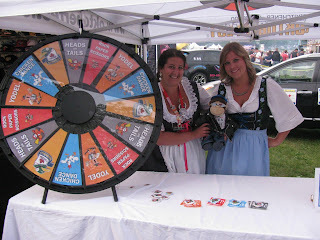 He also hung around the Oh Canada Ribfest in Waterdown and caught IN2U and Mike Woods.